Posted on September 4, 2013 by Pat B.
It’s finally happened: we now know the release date of the Xbox One. Microsoft’s newest game console will be available in stores on November 22nd, one week after the PlayStation 4 release date. The date was revealed in a video interview with Xbox’s Yusuf Mehdi, which was posted on the Xbox YouTube channel this morning. It’s a strange way to announce the date, since Microsoft has had opportunities to do it in front of large crowds this summer at widely covered video game conventions like Gamescom and PAX. 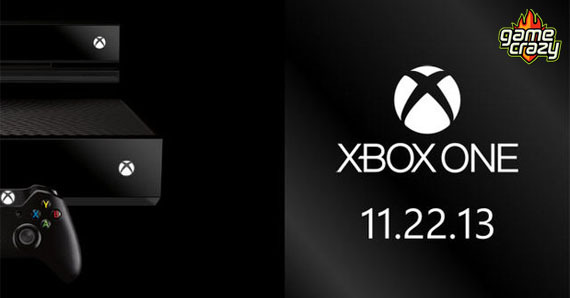 Watch the Xbox One Release Date Reveal Here! Along with the release date, a few other goodies were revealed, like Xbox One’s 10% increase in CPU performance, and that more of the coveted “Day One” edition consoles have been made available for pre-order. With the PlayStation 4 and Xbox One both releasing right before Thanksgiving, one thing is certain — more families will be eating turkey and mashed potatoes in front of the TV than at the dinner table this year. More information can be found here in the official announcement on Xbox.com. This entry was posted in The GC Blog, Xbox and tagged Microsoft, next gen consoles, xbox, xbox one by Pat B.. Bookmark the permalink.